Meet Sarah this Summer at East End Books Ptown. 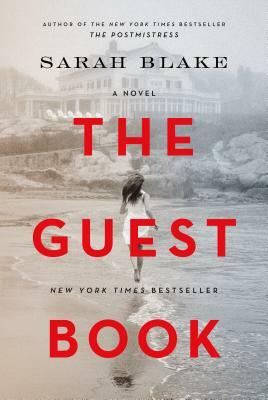 The Guest Book This is an epic, complex drama that captures two different worlds and introduces a cast of characters you won't soon forget! Moving through three generations and back and forth in time, The Guest Book asks how we remember and what we choose to forget. It shows the untold secrets we inherit and pass on, unknowingly echoing our parents and grandparents. Sarah Blake's triumphant novel tells the story of a family and a country that buries its past in quiet, until the present calls forth a reckoning.